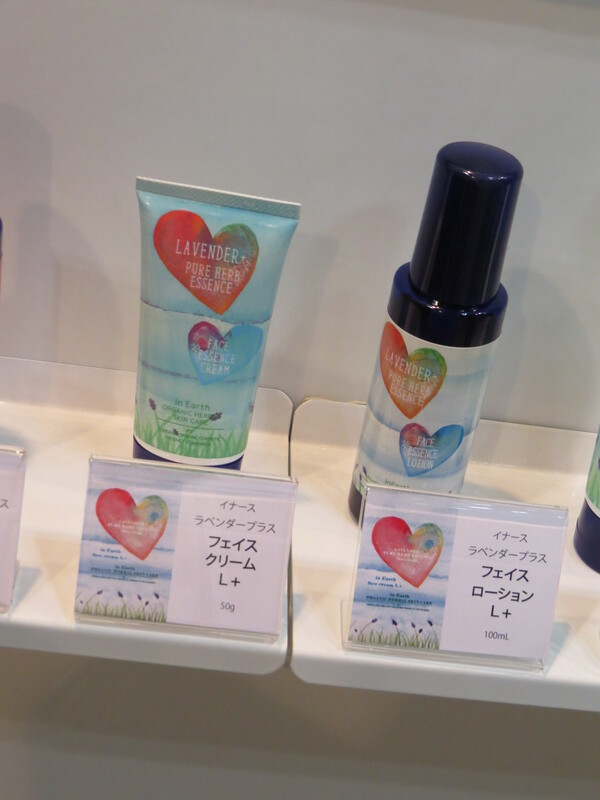 This week I attended CosmeTokyo, Japan’s most important cosmetics trade show. 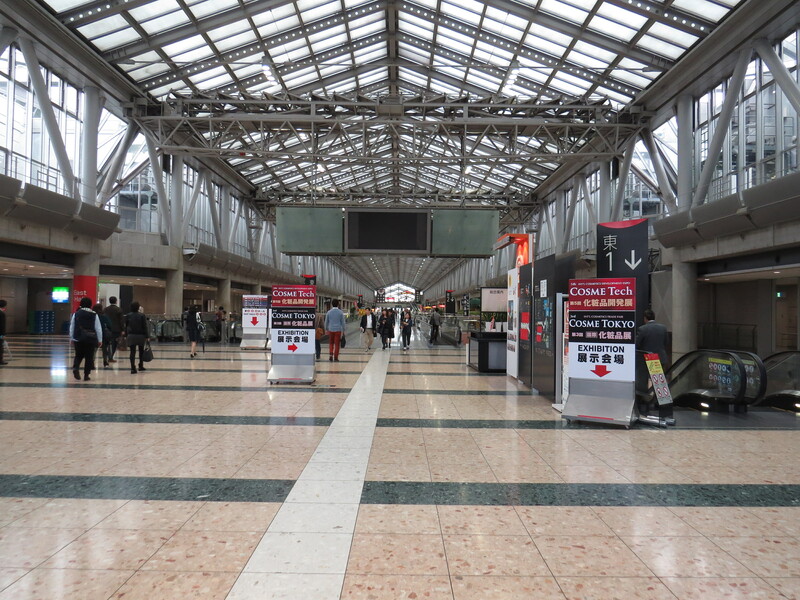 The fair took place from 20th to 22nd October in Tokyo’s Big Sight exhibition center, which is located near Tokyo Bay. 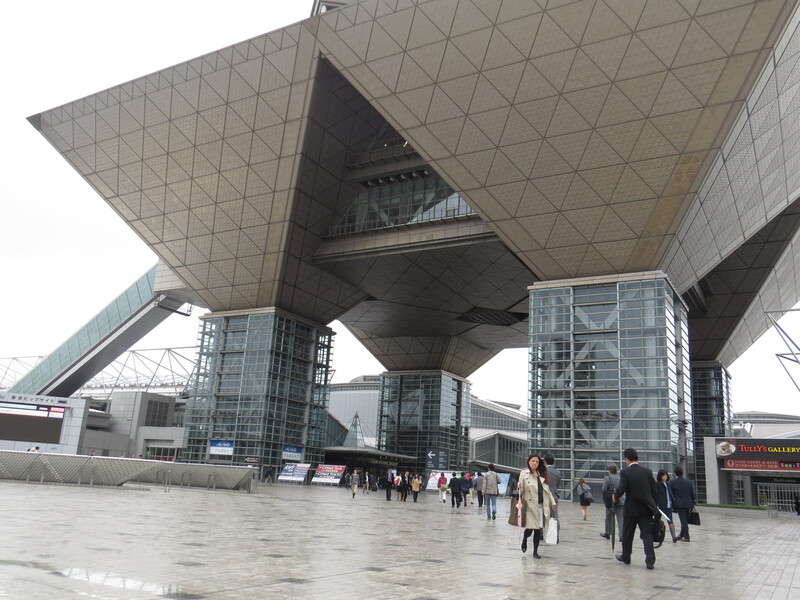 CosmeTokyo 2014 was the third edition of the show; it was held in conjunction with CosmeTech, a trade fair for ingredients, packaging, OEM manufacturing and so on. 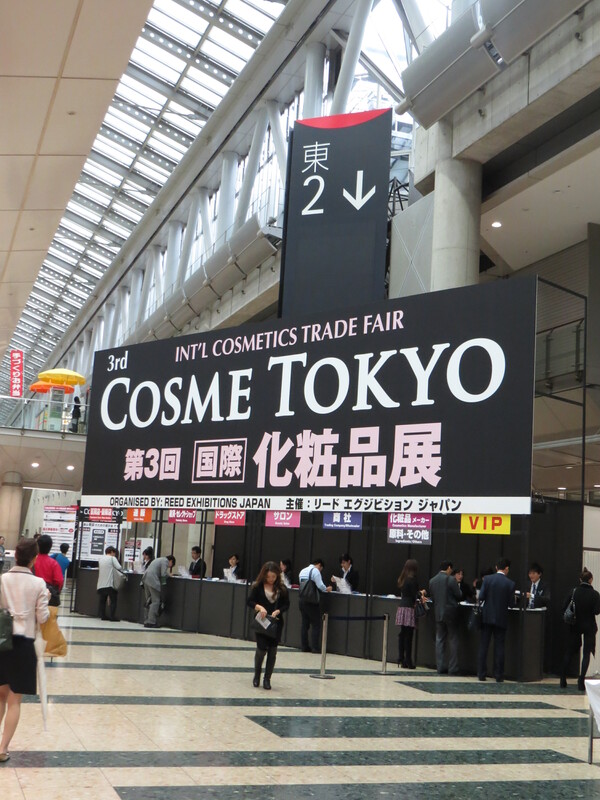 A total of 542 exhibitors from 36 countries attended the two shows and over the three days of CosmeTokyo/CosmeTech, there were 20,754 trade visitors. 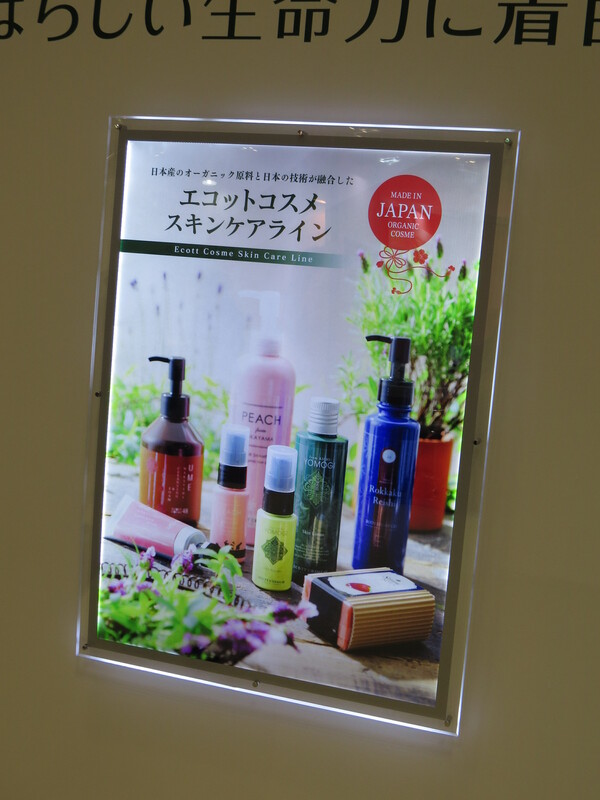 Although I took a quick stroll through the CosmeTech part of the exhibition hall, my main interest was, of course, CosmeTokyo! 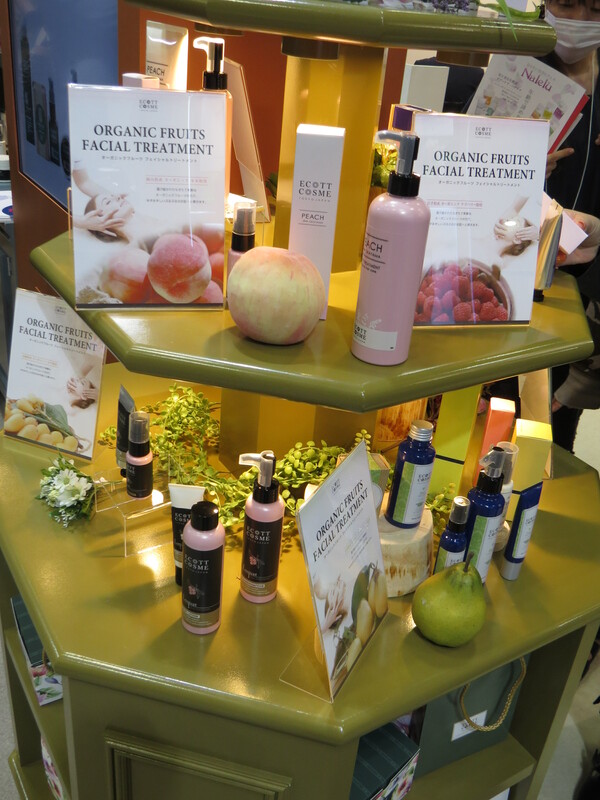 The cosmetics show was divided into seven sections: Skin Care, Beauty Drinks/Supplements, Organic, Makeup, Salon, Body & Hair Care and Anti-Ageing. Douro Skin Care from Portugal (“New to the market”) with their DVINE (no, this is not a typo!) skin care range. Douro is based in the port wine growing region of the same name in the North of Portugal and the DVINE products are scented with a very pleasant mild port wine fragrance. Another newcomer to Japan was PPC from Australia. 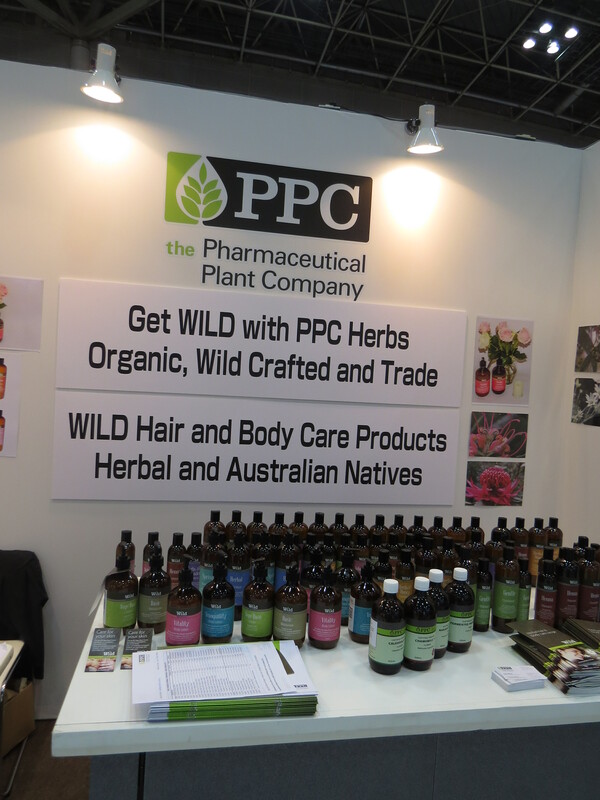 PPC manufactures herbal extracts – classic OEM – but also has a line of herbal hair and body care products which in Australia is sold in organic stores. The Wild range comprises five sub-ranges: Herbs & Honey for normal to dry hair, Herbs & Lavender for normal to oily hair, Gentle for sensitive skin, Henna which intensifies the colour of dark hair and Voluminiser to, well, boost volume. PPC’s products are certified by Australian Certified Organic. Znya from Bangkok in Thailand was also one of the “newcomer” exhibitors at CosmeTokyo. Znya manufactures face care including two rather ingenious dry powder masks – you mix the powder with yoghurt, your favourite face cream, cold cream or whatever – shampoo and conditioner, body care and bath care. In Thailand Znya is available online and the company also has a small store in Bangkok’s Siam Paragon mall. A brand that I instantly fell in love with was Whamisa from Korea [EDIT: read my brand profile about Whamisa here]. The packaging is superbly beautiful (check out the pics below!) and the products are certified by both BDIH (one of the best-known German organic seals – practically guarantees excellent organic quality) and Ecocert. Whamisa’s portfolio is extensive, there are 15 skin care products, two sun care products, two BB creams, six baby care products, five hair care products, four body care products, three men’s care products and a range of foldable face masks. I like!!! Whamisa is not (yet) available in Japan nor in Taiwan (my next port of call! ); in Hong Kong they have just found a distributor but the products are not in the shops yet…I guess I just have to travel to Seoul next year and stock up on Whamisa! Another company I particularly liked was Marubishi Natural Soap Factory – they manufacture ingredients for other companies but also retail products which are sold under the Marubishi brand name. 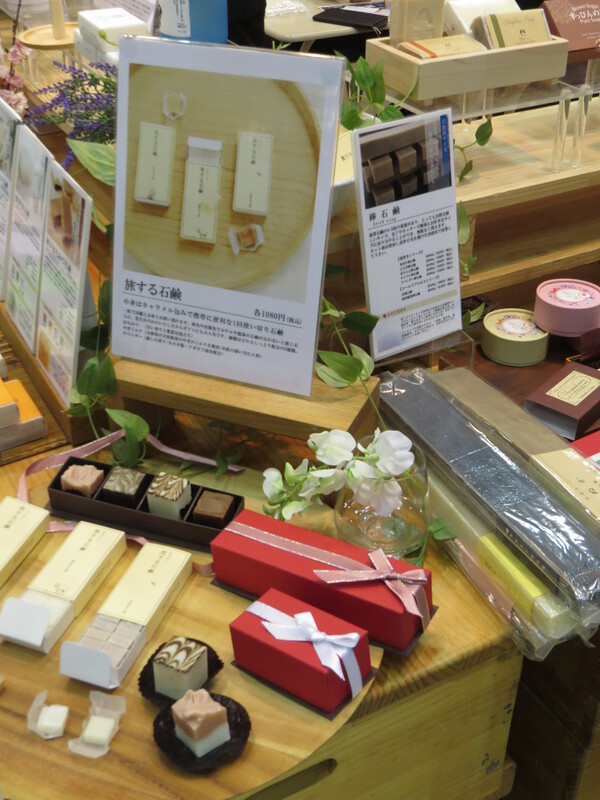 On the retail side Marubishi specializes in artisanal soaps which are produced in Hyogo prefecture (in the Kanto area of Japan’s main island Honshu. Hyogo’s capital is Kobe). 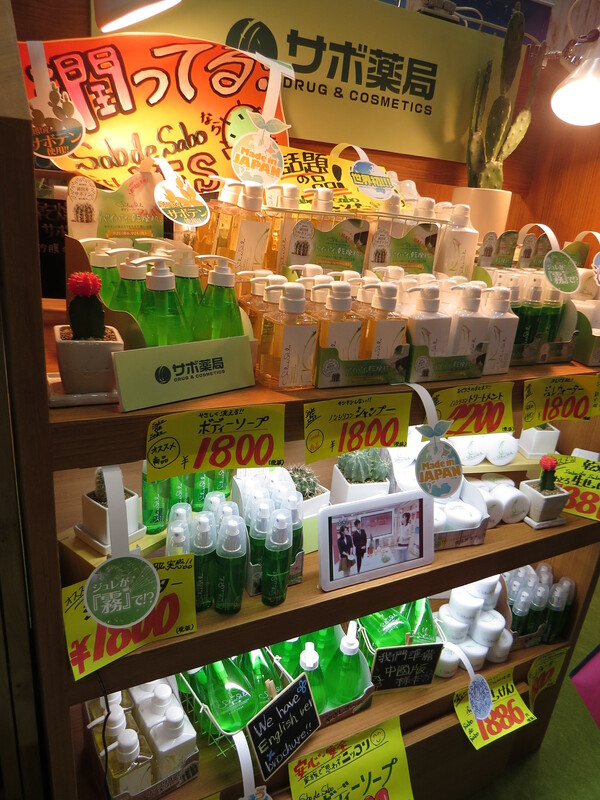 The company was founded in 1955 in Kobe and they have an interesting retail concept: rather than selling their soaps through stores – “normal” retail – they organize pop-up store type marketing events in various department store chains across Japan. There are around 30 events per year – oh yes, and of course the soaps are also available online. 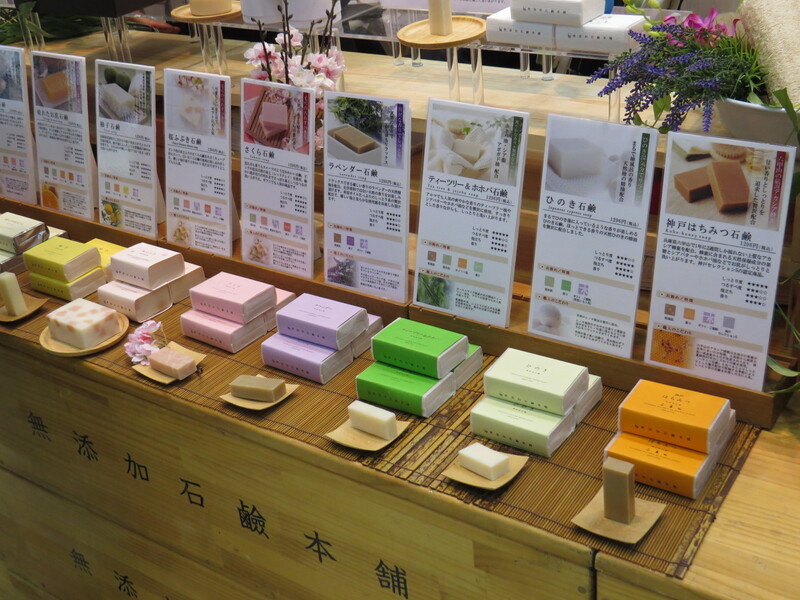 Marubishi has an extensive range of soap “flavours”, including typically Japanese variants like yuzu soap, Sake soap, cherry blossom soap, and hinoki (Japanese cypress) soap. 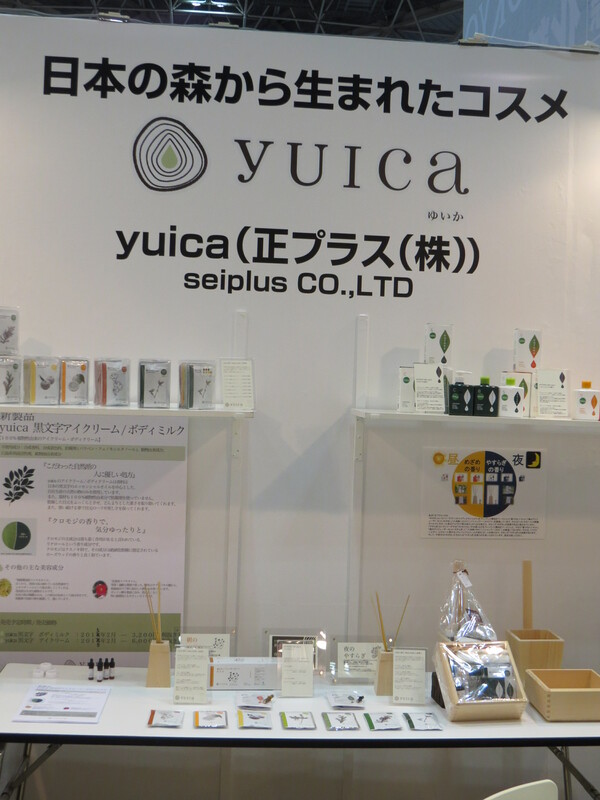 Another charming brand I met at CosmeTokyo was Yuica: beautifully scented herbal products and a range of essential oils with simple yet stylish packaging. Manufacturer Sei+ is based in Takayama in Gifu prefecture. Sei+’s roots go back almost forty years. The company has an unusual history: founder Tadashi Inamoto (who was also at the show) was a nuclear physicist and university lecturer. In 1978 he decided to change careers and opened a woodcrafts studio. Then he went to Kew Gardens near London, UK, to study plants and then worked in the rain forests of Brazil for a while. After his return to Japan, Inamoto decided to make essential oils that captured the essence of the Japanese forests. This is reflected in the brand name: in romaji (the Japanese term for the conversion of Japanese syllables to the Roman alphabet) “yui” mean to connect/create a bond and “ca” is the aroma. The Yuica products are manufactured right there in Takayama and most of the raw ingredients – like tree branches and leaves – are also harvested locally. The portfolio comprises two shampoo/conditioner ranges and matching body washes and there are seven different bath additives. The products also include other typically Japanese ingredients, like a special type of camellia which is grown in Sado Island (Niigata prefecture). Yuica is retailed in rather upmarket department stores in Japan, including the Mitsukoshi and Isetan chains. And just yesterday I saw some of the Yuica oils in Charis, a charming herb store in Seijo (more on Seijo and Charis in this post!). Ecott Cosme: now this is an interesting brand. It’s Japanese, the products are not yet available in retail but I was told that the brand will be launched soon. 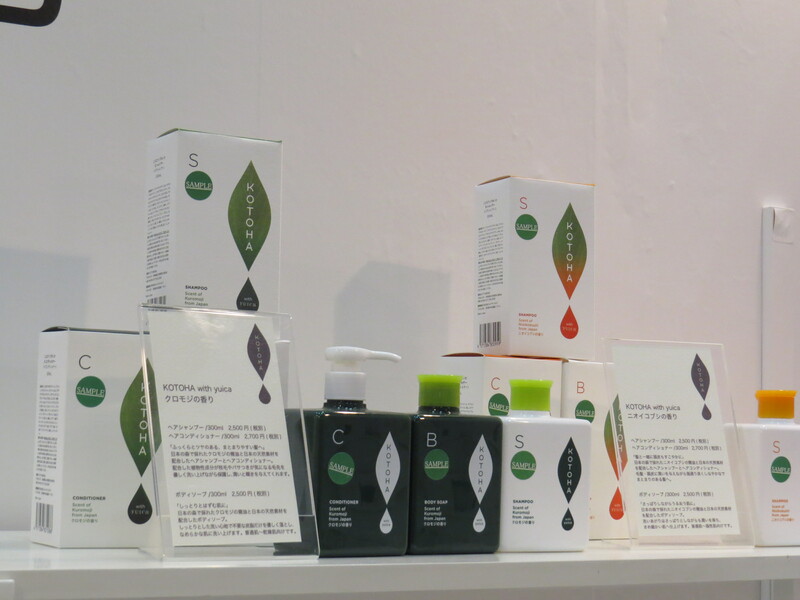 Ecott Cosme has seven product ranges which are named after different Japanese prefectures. All Ecott Cosme products are formulated with ingredients native to Japan. In addition, each range has a main ingredient which comes from the region after which the products are named. The Iwate range, for example, is formulated with extracts of raspberries grown in the Iwate region (Iwate is located in the Tohoku region of Honshu). The Tochigi products – Tochigi is a prefecture which is known for its Sake – contain Sake lees extract. Aichi’s products are formulated with locally cultivated mugwort (Aichi is in the Togai region and its capital is Nagoya). The Kyoto series contains tomato extract, maple extract and eggplant extract, Okayama (Chugoku area) has been formulated with peach fruit extract, the Ehime range (Shikoku island) contains extract of Iyo citrus fruit (up until the 19th century, Ehime’s name was Iyo) and Nagasaki (in Kyushu island which is the most Southern island in Japan) contains loquat leaf extract. Talia is a Dead Sea brand from Israel. I had a nice chat with founder Eran Windman and he told me that Talia will be launched in Japan and the US in early 2015. Currently Talia is available in 15 countries, the brand was founded in 2010 and products are priced between 30-40 USD. Although the brand is available in some European countries, Windman said that the Asian countries are the most important markets for Talia. Sabo de Sabo is a Japanese brand which features products based on cactus extract. The cacti are grown in the city of Kasugai (Aichi prefecture) which is also where the headquarters of the brand’s manufacturer B First are located. And finally, there was a nice little organic label from Hokkaido, Japan’s most Northern island. The brand is called inEarth and its main product range is Lavender+ which comprises a lip balm cream, a makeup remover, a face wash, a facial essence, a cream, a body lotion and a body cream. 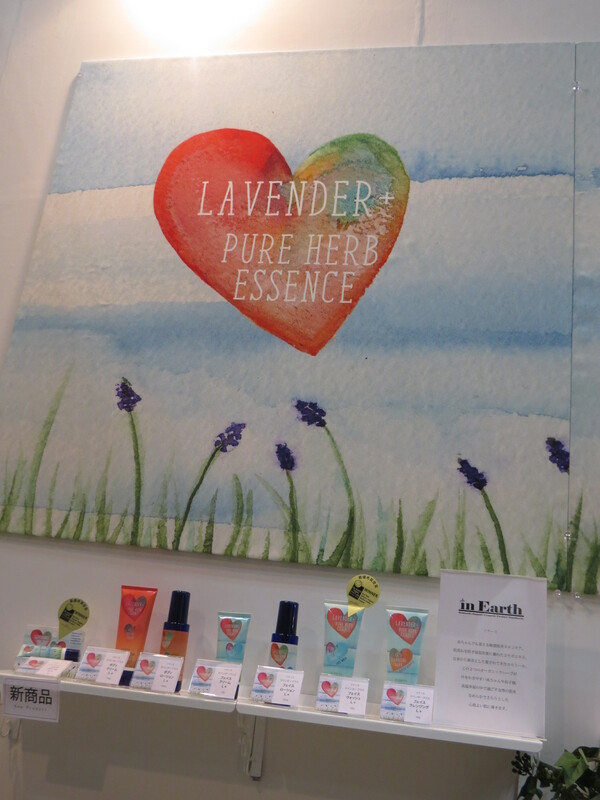 The herbal extracts used in the Lavender+ range include mugwort, chamomile, job’s tears, rosemary, lemon balm, sunflower oil and olive oil and all products are scented with a mixture of lavender and orange. I also liked the packaging; it is charming and playful without overdosing on kawaii. The regional heritage of a product and its ingredients: this plays an important role for many Japanese beauty brands and definitely for the majority of organic brands that I’ve come across over the last week. The Japanese sense for the importance of “terroir” (the origins/heritage of a thing; for a full definition look it up on Wikipedia) is very strongly developed and visible in many FMCG categories – in foods and beverages and, of course, in cosmetics.